Today I will show you how to save data in cocos2D android in a database and reload it when the game starts. This has been always a problem withe game developers for cocos2D android. I will show you a way to save almost any number of data in a database using SQlite in android. 1. Working with SQLite Database in ANDROID. 2. Using SQLite in ANDROID, A really simple example. First thing you need to know is cocos2d. Assuming all are familiar with Cocos2D. I am starting this tutorial. Create a fresh project named SaveDataDemo. then create a class named SQlite.java and copy this code into it. This file contains the table definition and methods for accessing the data in the table. 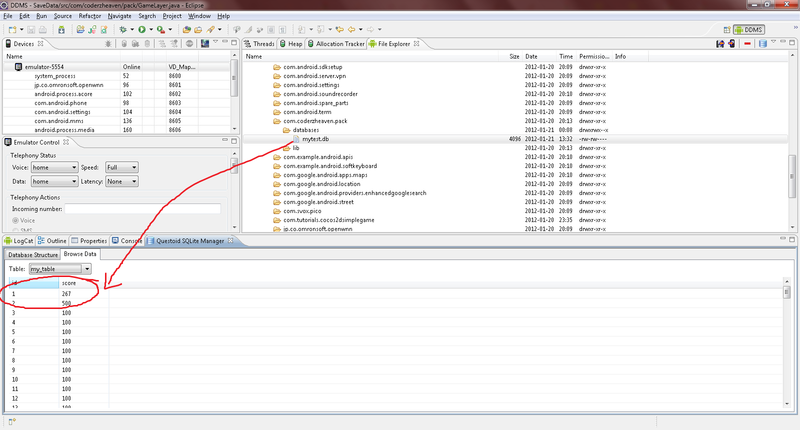 All you need is call these functions in your main file and insert, update or get the data from the database. "create table IF NOT EXISTS " + TABLE_NAME + " (" + _ID + " INTEGER PRIMARY KEY, "
Now create a file named “GameLayer.java” file and copy this code into it. 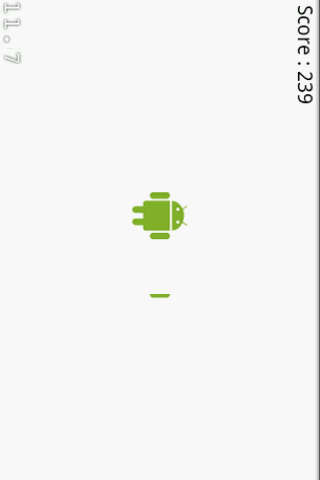 Note : copy a file named “android.png” into the assets folder. Now create a file named “GlobalClass.java” and copy this code into it. Inside the GameLayer class check these functions that loads the data from the database or insert or update the database. If you find this post useful please leave your valuable comments and +1 this post to share more and give me encouragement for future posts. can u please tell me how to use . tmx file in cocos2d android? how can i play a video in background???? what do u mean? Video is for viewing not hearing? If you said this audio, it was ok.
hello how can i add tables to the existing database? you can write a create table query and execute using executeQuery(), like other “select” and “delete” queries. Says Globalclass cannot be resolved to a variable. I need to create a Database using DbHelperclass. Nice blog, Can you tell me how to reset “score” to zero once game over or game completed? Pass zero as parameter to the saveScore() function.